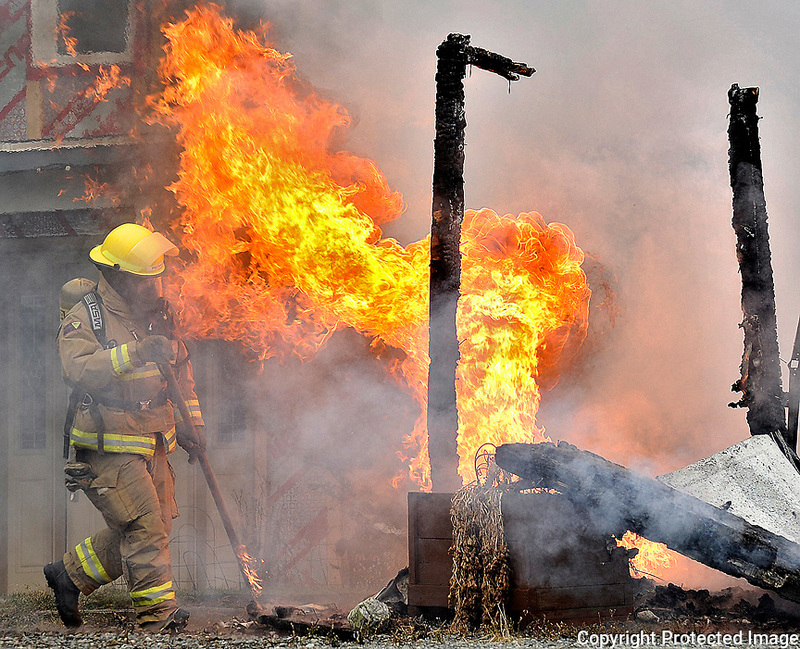 A firefighter steps back from a flareup at the scene of a garage fire in Hidden Valley outside Whitehorse on Friday. The garage was destroyed, and the adjacent house was damaged by heat, but firefighters kept it from burning. Nobody was in the home at the time, and the cause is unknown. Damages are estimated at $50,000.